Is there a better alternative to ChordPro Buddy? Is ChordPro Buddy really the best app in Music category? Will ChordPro Buddy work good on macOS 10.13.4? 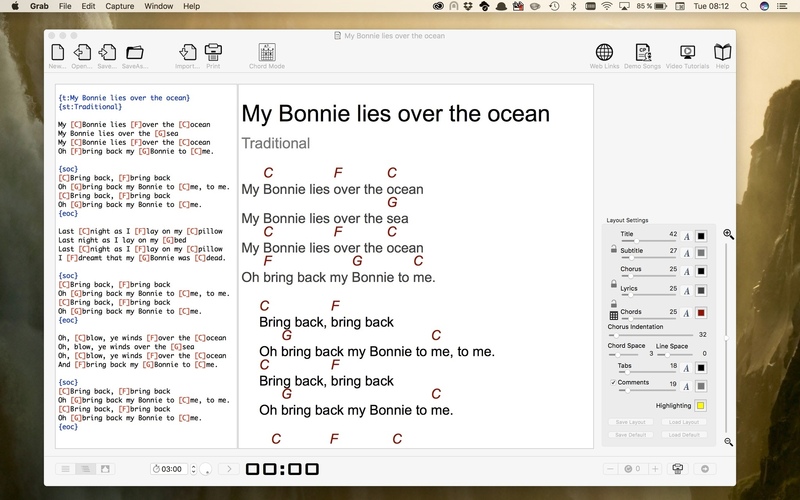 ChordPro Buddy is a song editor and viewer. 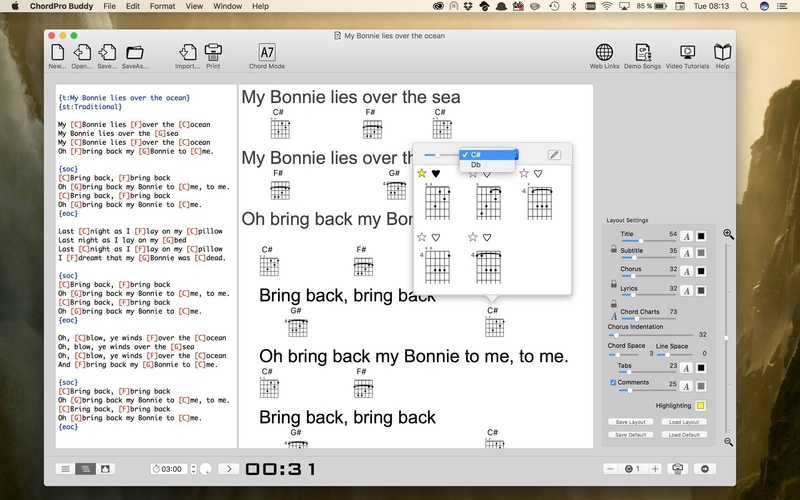 It is an easy to use and elegant tool to edit, format, show, transpose and print lyrics, chords and tabs without notes for guitar players or other musicians. The storage format is the widely used, very simple and easy understandable "ChordPro" text format. Transposing to other keys is only one mouse click! 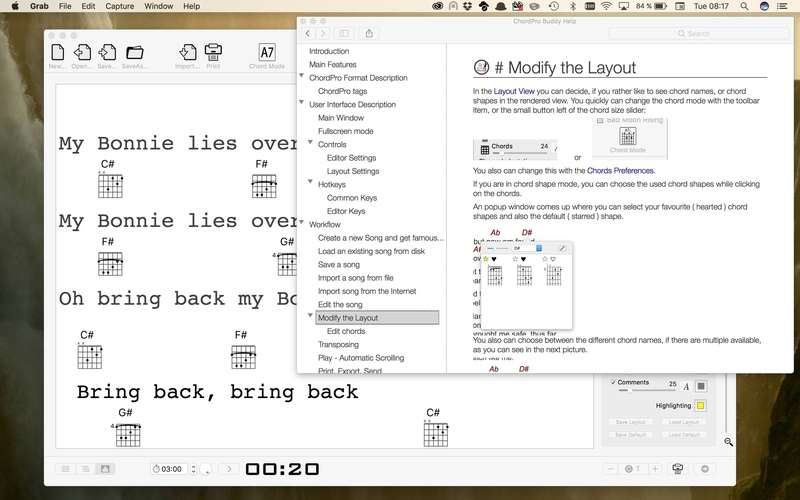 ChordPro Buddy helps you to create nice layouts to all your new and existing lyrics and chords and also to the songs, you found on thousands of places on the web. 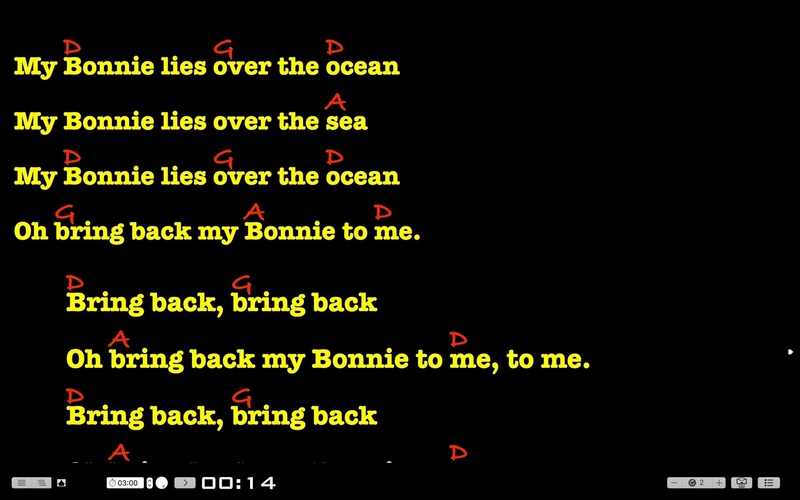 You can incredible easy and fast transcribe your songs, without the need to be online for this! ChordPro Buddy needs a review. Be the first to review this app and get the discussion started! ChordPro Buddy needs a rating. Be the first to rate this app and get the discussion started! 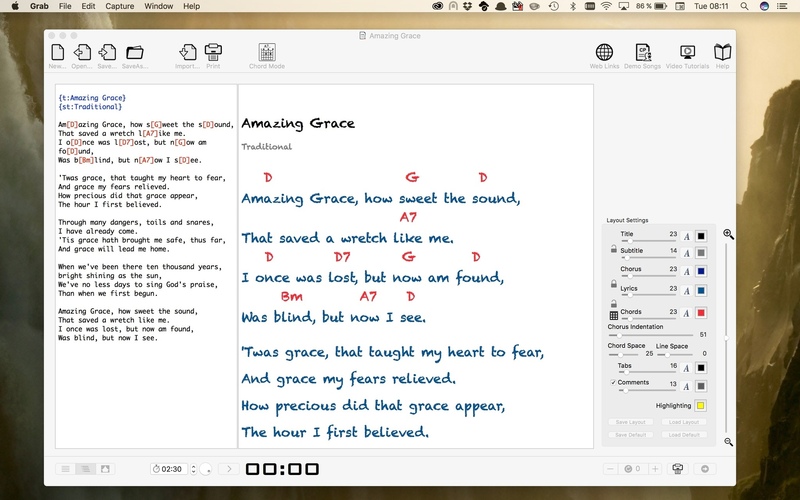 I'm sure - You will enjoy it and in the future you will have more fun singing and playing instead of dealing with complicated text formatting features in other apps!